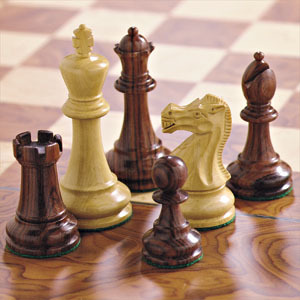 This set is boxwood and Rosewood. Very detailed knight! What a beauty.